It might be mid-July but that doesn't mean we're not thinking about college basketball. We recently broke down 12 coaching hires from the offseason that you may have missed — did you know that Tubby Smith is embarking on his seventh Division I job? — and now we're examining which hires will have the biggest impacts. A common thread among the schools listed below is that they're either a once-successful program that has recently fallen on hard times or a school whose new head coach has had more success at his previous stops than his new team has had in recent years, suggesting a brighter future ahead. Here are five coaching hires from the offseason that will have the biggest impacts. A N.J. native, Dan Hurley played at Seton Hall before coaching at Wagner, Rhode Island and now UConn. Hurley was one of the hotter coaching commodities in the offseason and now he's tasked with reviving a UConn program that has slowly faded since winning the national championship in 2014. The Huskies' regular season win total in AAC play has dropped by two in each of the last two seasons, and UConn's 14 wins in 2018 was the school's lowest win total since 1987. Hurley is a basketball lifer in the Northeast, where he has been a head coach at Wagner and Rhode Island, an assistant coach at Rutgers, a player at Seton Hall, and a native of Jersey City, New Jersey. There might be only a handful of coaches who know the region better. It only took Hurley two years to lead Wagner to a 25-6 record and he's most recently coming off of back-to-back 25-plus win seasons and NCAA tournament appearances at Rhode Island. 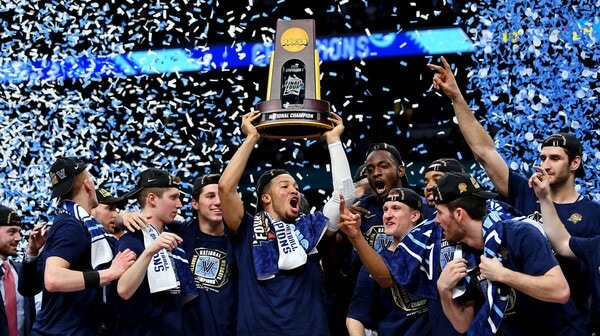 Cincinnati, Houston and Wichita State were the torchbearers of the AAC last season but UConn has a more accomplished past than any of the other 11 schools in the conference. That was one of the selling points for Hurley. "I knew deep down inside, I wanted just one more job in coaching," Hurley said at his introductory press conference, according to the Hartford Courant. "A place where Final Fours and national championships are a distinct possibility. I had to make one more move to put myself in that position, and this was that move." The importance of fit cannot be overstated, and Dan Hurley to UConn seems like the right fit. Mike Davis has nine NCAA tournament appearances in his career. Detroit hiring Mike Davis from Texas Southern may not have made many national headlines, but in the traditionally one-bid SWAC, Davis led Texas Southern to a regular season title and/or the NCAA tournament in each of his six seasons there. That's all you can ask for in a non-power conference — to have a shot at making the NCAA tournament every year. While the Horizon League hasn't sent multiple teams to the NCAA tournament since 2009, five different schools have earned the Horizon's automatic bid in the last five years — Wright State, Northern Kentucky, Green Bay, Valparaiso and Milwaukee — suggesting there's year-to-year parity within the conference. Detroit has made the NCAA tournament just six times in school history and only once since the turn of the century, so a veteran coach like Davis, whose teams have made nine NCAA tournament appearances, could conceivably lead the Titans into their most successful era ever. How many newly-hired coaches realistically have that opportunity? Tom Crean takes over at Georgia after spending a year at ESPN. Even if you just take the average of all of Crean's seasons as a head coach — 19.7 wins, one NCAA tournament appearance every two years, roughly one NCAA tournament win per appearance, one regular season championship every six years — that would an improvement for a Bulldogs program that owns just four 20-win seasons in the last 16. If Crean can replicate a year similar to Marquette's 2003 season (27 wins and a Final Four) or Indiana's 2013 campaign (29 wins and a No. 1 seed), well, that'd be cause for celebration in Athens, where the basketball team has averaged just 12.5 wins annually in its 113-year history and has never won more than 24 games in a season. Crean's teams have ranked in the top 10 in adjusted offensive efficiency five times, so Bulldog fans can expect a high-scoring brand of basketball in the coming years. Penny Hardaway returns to his alma mater to coach the Memphis Tigers beginning in the 2018-19 season. While it remains to be seen how the hometown hero Hardaway will impact wins and losses on the court for Memphis, he has already made an impact on the program without having coached a single game as a Division I head coach. Fan interest in Memphis basketball may have bottomed out during the 2017-18 season, when the Tigers solid 4,115 season tickets — a figure school president David Rudd called, "the lowest in modern history for Tiger basketball," according to the Memphis Commercial Appeal. The newspaper reports Memphis expects a $4.5 million jump in ticket sales since Hardaway's hiring. On the recruiting trail, Hardaway successfully recruited former Texas A&M signee Antwann Jones, as well as Memphis-area guards Tyler Harris and Alex Lomax, to be a part of his first class on campus. The Tigers' 2018 recruiting class' standing nationally is leaps and bounds ahead of their previous two. From leading the coaching staff on road trips in a customized, black Mercedes van to hiring assistant coach and former NBA veteran Mike Miller, who tweeted a picture of him wearing a Miami Heat NBA championship ring on the recruiting trail, Hardaway has rejuvenated the Tigers program, while adding a little swagger (how many college basketball coaches can say they have a popular rap song about them? ), and strengthening the program's bond with Memphians past and present. Jeff Capel stays within the ACC as he moved from Duke associated head coach to Pitt head coach. In two years under Kevin Stallings, Pitt went 24-41 with a 4-32 record in ACC regular season play. The Panthers were typically annual NCAA tournament participants under former coach Jamie Dixon, and clearly Capel believes he can win at a similar level or else he wouldn't have left Duke, which was No. 1 in the preseason AP Top 25 poll each of the last two falls. Capel boasts nine years of Division I head coaching experience, including leading Oklahoma to a 30-6 record in 2009, plus seven years on Mike Krzyzewski's bench, when Duke consistently enrolled some of the top freshman classes in the country and never finished outside of the top 10 nationally in adjusted offensive efficiency. It's not as if Capel can press copy and paste to turn the Panthers into the Blue Devils, especially in a loaded ACC, but Pitt luring away Coach K's righthand man is as intriguing as any move on the coaching carousel made this offseason. Capel won 18 games in his first season at VCU and 16 games in his first season at Oklahoma, and a similar win total next spring would be a major improvement for a program that went winless in the ACC last season.